Bad news: a few weeks ago the Free I.T. Athens trailer was stolen from behind The Office in the Homewood Hills Shopping Center. Volunteers have filed a police report. The trailer’s VIN is on record as stolen, but we haven’t had any updates since then. This is a picture taken of the same brand and size of trailer taken back in 2011 when volunteers were doing comparison shopping. Unfortunately, there is no signage designating the stolen trailer as Free I.T. Athens owned. 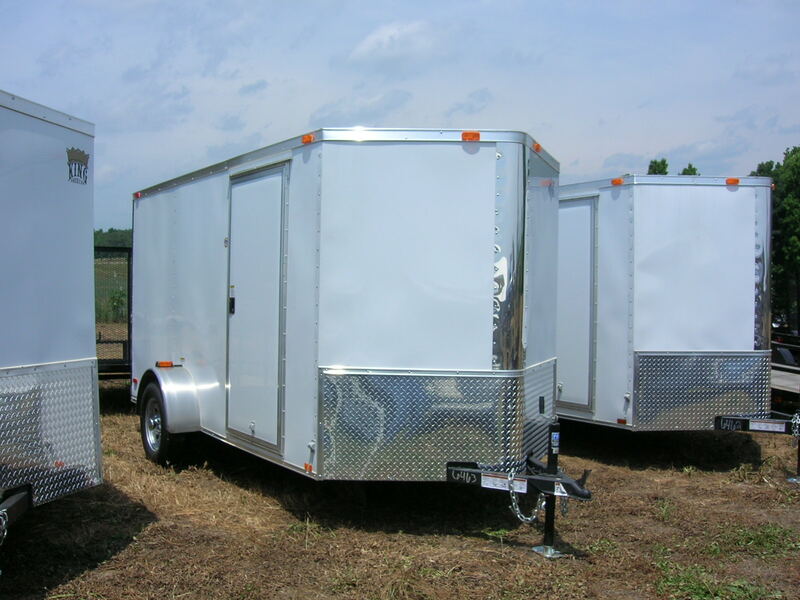 The trailer was purchased in 2011 and we used it to pick up large donations from local businesses and as a little bit of extra storage space. When the trailer disappeared, there were several hundred dollars of computer equipment we had set aside for our community grant program. Please reach out to us if you hear of anything or see a White 6 x 12 King American with an Athens-Clarke County Tag TS14X44. Free I.T. Athens is a group of passionate volunteers running this nonprofit on a shoestring budget. We all just want the trailer back so we can keep using it to serve the community.